TL; DR: With roots in Saskatoon, Saskatchewan, BlackSun got its start in what one might call the Canadian wilderness of hosting environments. The company pivoted from web design to hosting in 1998 when network connectivity in the area was less than ideal. Through technical expertise and strategic partnerships, BlackSun rose above these setbacks to become known on both coasts for friendly service with a small-town feel. CEO and Founder Steve Rogoschewsky shared some company stories about rebuilding the local Saskatoon network and how automation is helping the company be ever more helpful to its customers. In the late 1990s world of web design and development, Steve Rogoschewsky’s company shared many similarities with its clients. Chief among them was the challenge to find fast and reliable hosting in Canada. Eventually, Steve and his BlackSun business partners opted to take matters into their own hands and switched gears into hosting, deploying Sun Cobalt RaQ servers in their office space. Although BlackSun has moved on the latest in advanced clustering hardware, it’s still very much a Linux hosting company. Located in Saskatoon, Saskatchewan, BlackSun aims to appeal to developers and business owners across the country and serve them with a local flair. 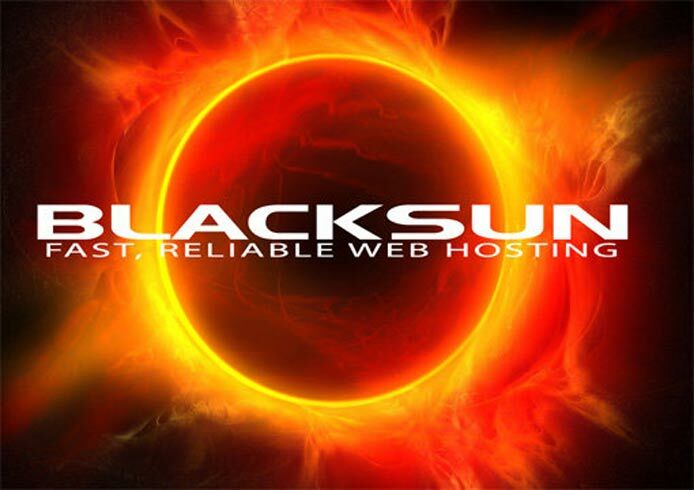 BlackSun delivers an array of web solutions, including hosting, domain registry, and security services, to name a few. With a wide range of services, including build-your-own-site packages, email, backups, and free training and tech support, BlackSun has everything you would expect from a high-quality, commercial hosting company. What makes it really stand out from some of their big-city competition is the friendly, small-town approach to helping its users. Most of BlackSun’s customers have traditionally been “we want to do it ourselves” types, Steve said. Although clients typically start out building their own sites, they eventually come to BlackSun’s customer service team for help. Even if a customer can figure out the design aspect of a website themselves, security vulnerabilities are a common tripping point, he said, mentioning site owners who don’t update their WordPress or Joomla installations. Security is a big focus at BlackSun, and BlackShield operates on the frontlines to protect businesses and their data. BlackSun offers several security-focused web hosting packages, as well as its website security platform included under the proprietary BlackShield branding. Saskatoon wasn’t known as a technology hub when BlackSun started up, so network services weren’t a regional priority. The company sometimes struggled to provide reliable connectivity to some of its larger customers. Rather than keep the status quo, however, BlackSun partnered with the University of Saskatchewan to lead the way to better network services. The company’s partners now include local companies that build fiber networks in Saskatoon, Regina, Moose Jaw, and Prince Albert, as well as some bigger partners like Hurricane Electric and Shaw Communications. The high-quality network in the area now exists because of BlackSun’s dedication and persistence. A robust security system props up the state-of-the-art network, and provides added protection that BlackSun’s larger clients particularly rely on. Despite avoiding many threats because of its geographically remote location, BlackSun has put together a comprehensive and robust proprietary security package to safeguard its customers from potential attacks. All of BlackSun’s network connections directly link to 151 Front Street or 555 Hastings — the major data hub sites in Eastern and Western Canada. This places Saskatoon in a good location for reliable connectivity and performance, despite being in “the middle of nowhere,” as Steve said. Customers located thousands of miles away have found their ideal web host in BlackSun. In addition to the centralized location for connectivity, Steve said Saskatchewan’s climate and geography are perfect for datacenter management and security. BlackSun’s datacenters are strategically located to avoid unplanned due to acts of nature. It’s also a good choice for sustainably-minded customers. With Saskatoon’s stable weather in the winter and cooler air most of the year, BlackSun is able to maintain environmentally friendly server rooms using a water-based system with outside air fans. With a strong grasp of how to provide and maintain quality web hosting services, BlackSun is turning its innovative focus toward automation to make the process of getting online more streamlined for its customers. “We’ve got some quick turnaround web design products where our clients can come to us with a project or idea, and we can turn it around and have it online in a couple hours,” Steve said. The company has made strides in automation with its web development team particularly, making it easier for its typical DIY-style customer to take the reigns in designing their website. The move toward automation is a shift in the company’s usual mode of operation. Traditionally, BlackSun has been a hands-on hosting company where its employees performed their work directly to ensure no mistakes were made and to provide attention to detail. “Through the years, we’ve been working on an automated approach to make sure we’re managing mass systems with a small group of people,” Steve said. While some processes may be automated, it doesn’t serve as a substitute for the company’s signature, personable style of Canadian customer service. BlackSun may be on par with big-city hosting, but it strives to set itself apart with a help desk that’s conscientious and caring. “It’s just about making sure that we’re keeping the focus on the customer service, and that BlackSun makes sure the clients get all the stuff that they need,” Steve said.